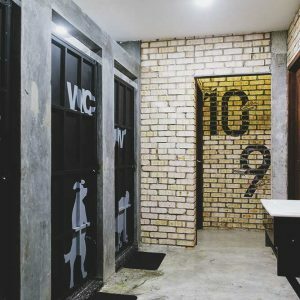 Paper Plane Hostel in Kuala Lumpur - The BEST Hostel in KL 2019? 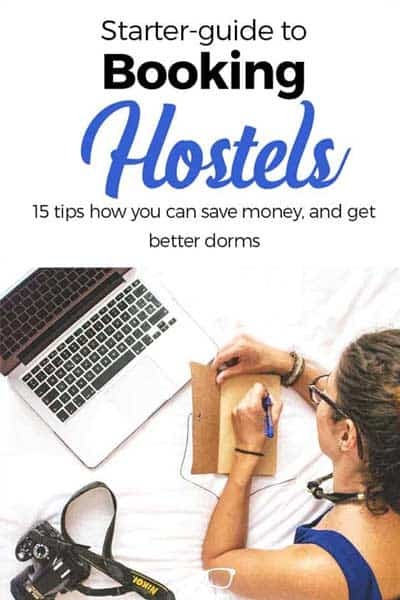 How to book Paper Plane Hostel? 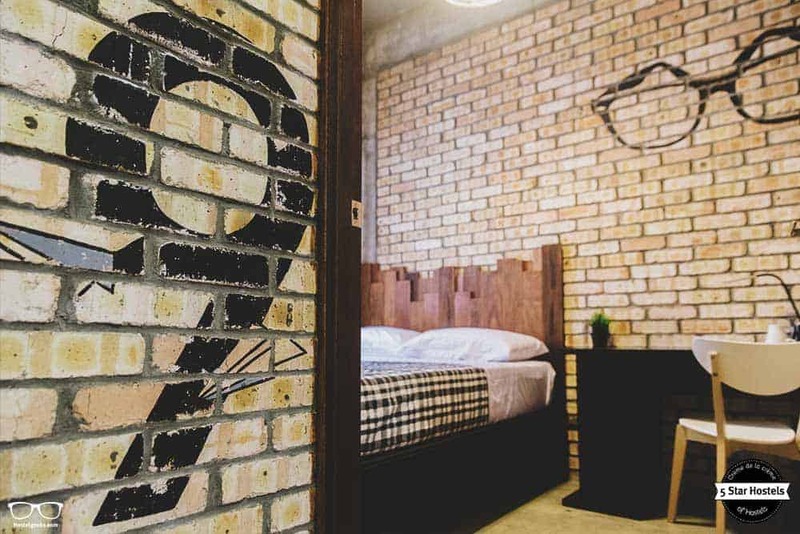 Congrats, you just found the coolest hostel in Kuala Lumpur. Now, what about your booking? 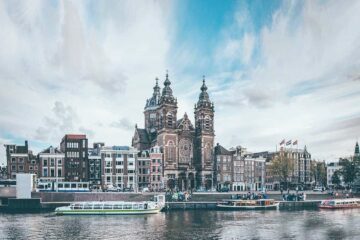 Check out the official website of Paper Plane Hostel. Why? There you can get the lowest prices! The location is fabulous! Secure, lots of things to do, central! 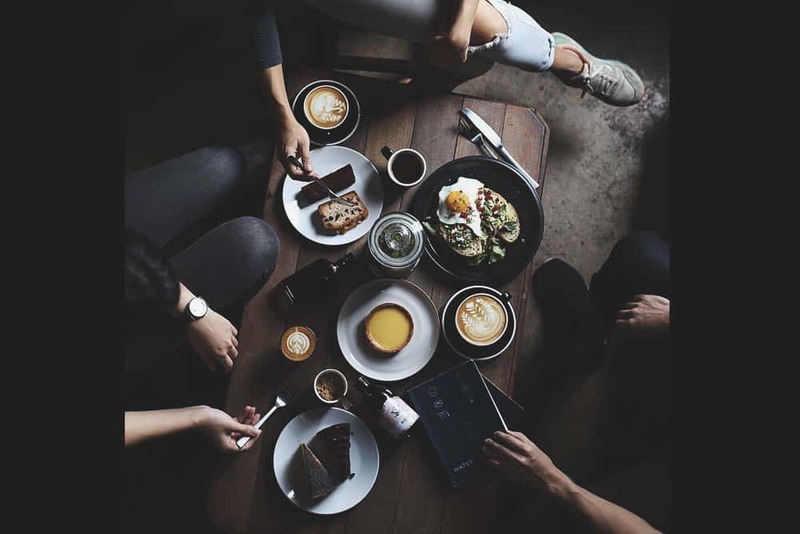 Food and café‘s in the area: There is no breakfast served in the hostel itself, but you have plenty of super local options dotted around the hostel. Go for it! Just ask Andrew, and he'll recommend you a place to suit your preferences. Also, one of the city’s most popular and hippest cafés is just a few meters away, the VCR Coffee shop. You can actually see it from the roof top terrace of Paper Plane. Shopping and area: Like everywhere in KL you have plenty of shopping malls around the area, including the huge Berjaya Times Square mall, one of the biggest ones in the world. There you can find escape rooms and even an interior theme park; the Berjaya Times Square Theme Park. There is also the famous Jalan Alor Street, popular among backpackers and travelers for street food and to enjoy a fun night out. Another highlight in the area is China Town. Find original football jerseys for 5€ and everything you need from sunglasses, clothing, electronics, food and so forth. The Petronas towers are a 30 min walk away from Paper Plane, and the walk to get there is really interesting to get an idea of the local life in Kuala Lumpur city. You will walk passed big malls, coffee shops, restaurants, fun shops selling souvenirs and other items, and so on. When visiting the Petronas Towers, we recommend heading up the Sky Bar of the Traders Hotel. 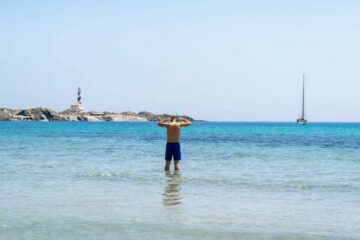 They have an interior swimming pool and a nice lounge, both with views to the towers - awesome, don't skip it! 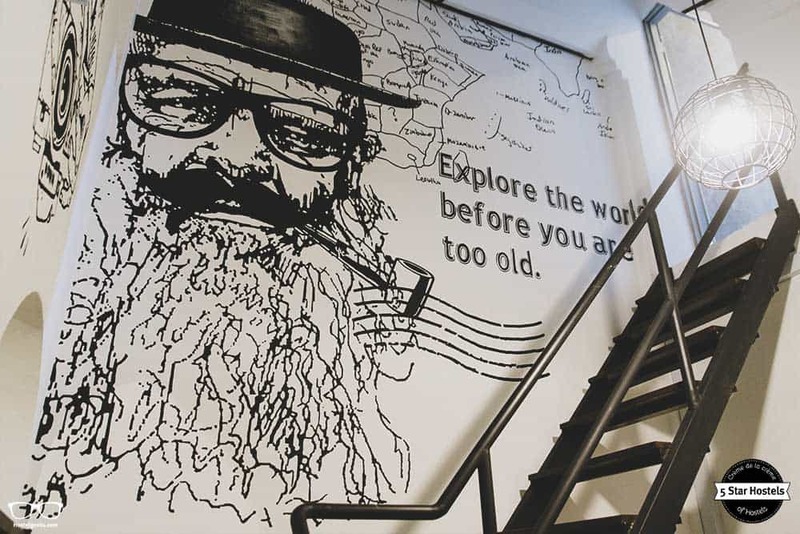 Tucked inside a 100 year old colonial house, Paper Plane Hostel is a remarkable hostel. 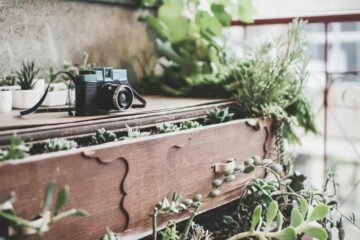 It combines lifestyle with design, a touch of history, and a hostel experience that solo female and budget travelers are looking for. 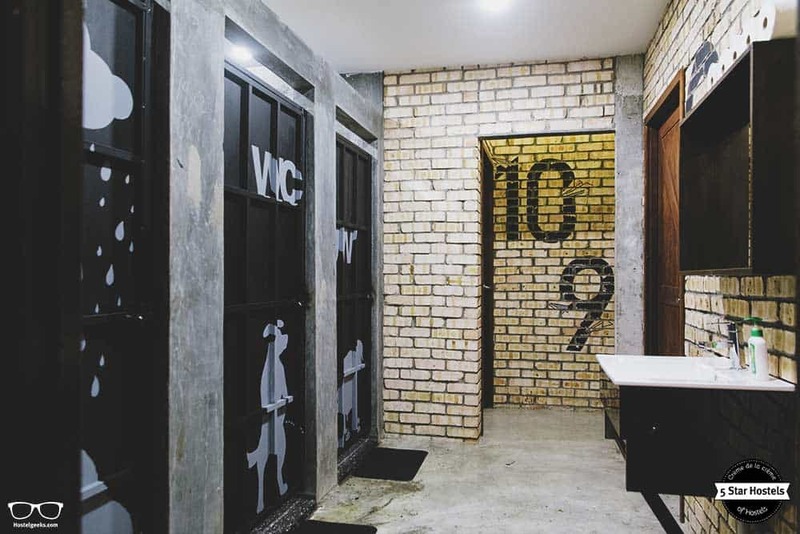 We hopped over to Kuala Lumpur to have a closer look at the Paper Plane Hostel. We’ve discovered a black-white-minimalist design and even a „hostelgeeks“-room. Ever since the hostel opened in 2015, we had a close look on their development. 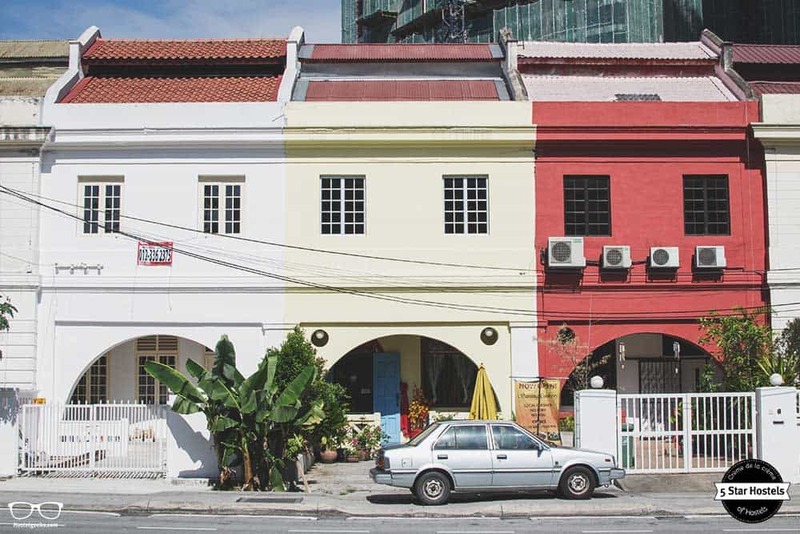 Read our full guide to the coolest hostels in Kuala Lumpur, Malaysia. 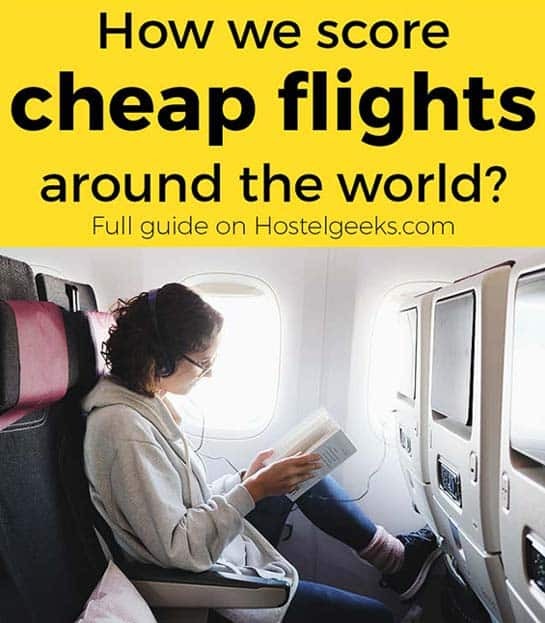 We are Hostelgeeks and we reveal for you the best hostels in the world. You can find all the best hostels around the world directly with us. Here are our impressions from Paper Plane. 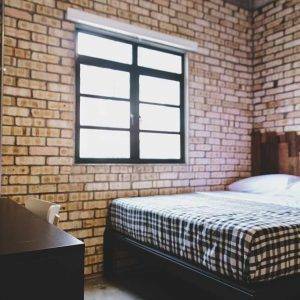 2 years after opening doors, the accommodation now is a 5 Star rated hostel by Hostelgeeks. 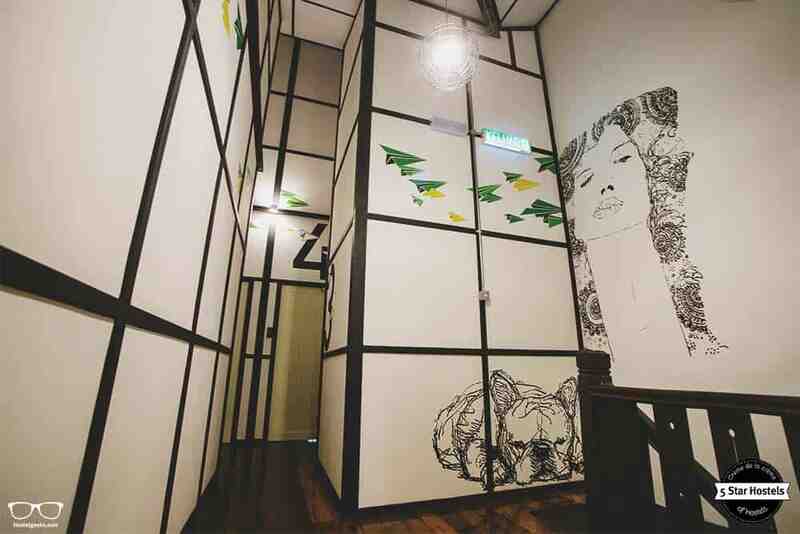 So, let us have a closer look at the Paper Plane Hostel. What is behind the minimalist paper plane logo? The hostel is housed in an old mansion. The houses in this area are 100 years old, and one of the few ones left in booming Kuala Lumpur. The area is surrounded by many skyscrapers. This is what makes these houses here so special. It feels like a tiny village inside the jungle of urban city planning. The hostel is sparkling – cleaned daily with toxic free products. The hostel is run by local employees only. They give you access to local recommendations to get to know KL like a real local. KL – that’s the nick name of Kuala Lumpur. Thanks to Sam and the team, we got to know a real local side of KL, from local food stalls to sights and things to do. 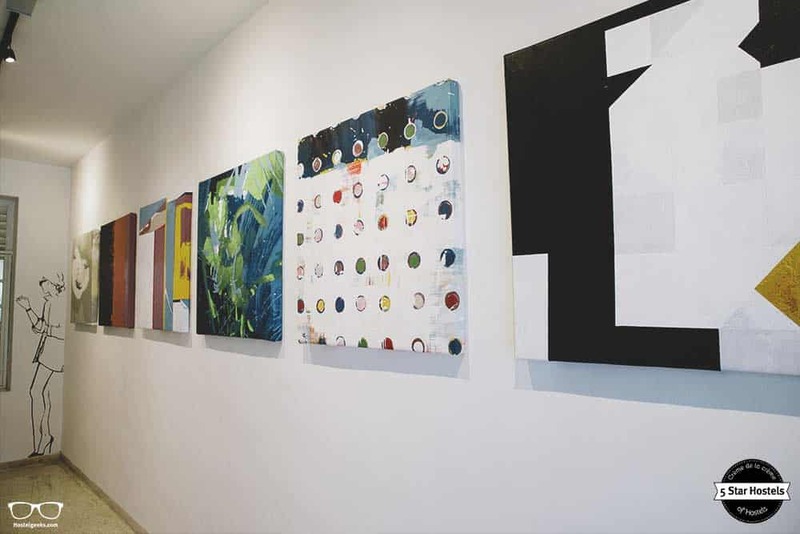 Furthermore, the hostel teamed up with local artists, selling their art in the corridor on the ground floor. 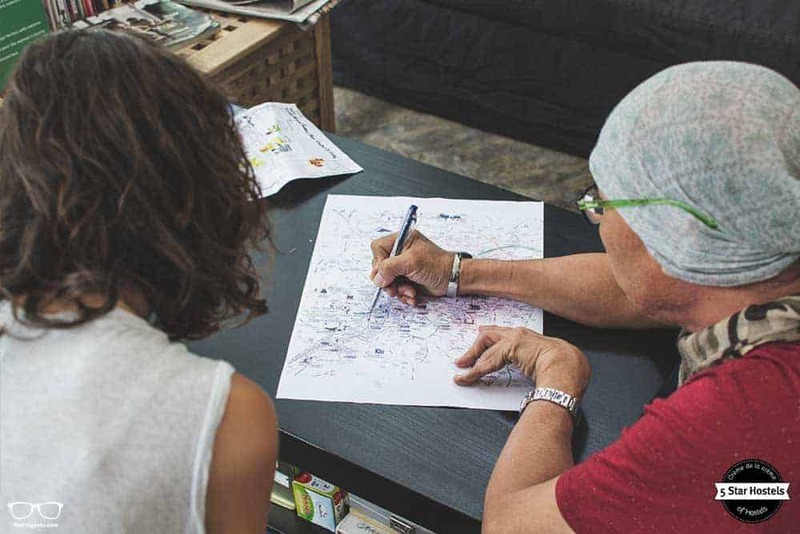 … this is Paper Plane Hostel in a nutshell. 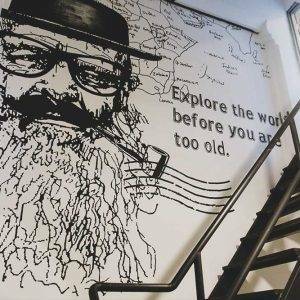 The hostel is located inside a 100 year old colonial house which was completely refurbished and rebuilt to welcome the new generation of travelers. When looking for a name, the founders did some research on existing hostel names. The goal was to find a light name, summarizing the character of design: Paper Plane it was! Have a closer look, one line in the Paper Plane Logo is kept in green – just to mark a difference. 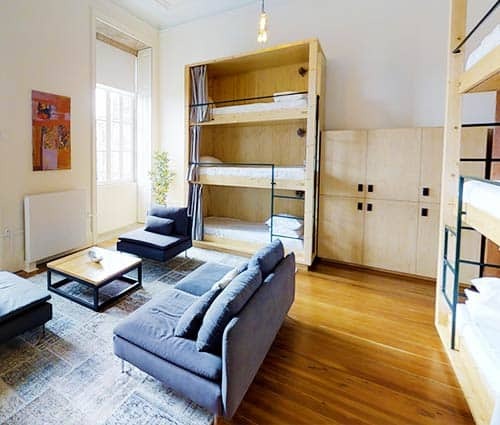 Do you love design hostels? 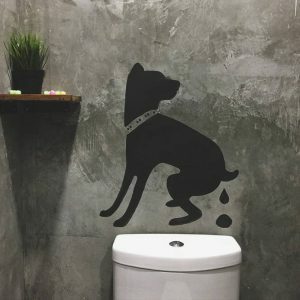 The bathroom design is another highlight. Whatever door you open to a toilet or shower, you will find a different kind of design. 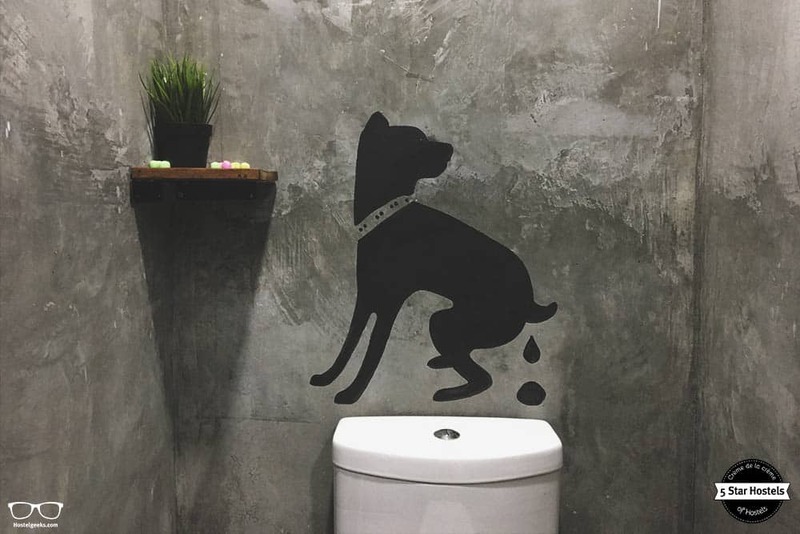 It could be a peeing dog or perhaps a dog having a shower – a great idea to turn the facilities into something interesting and curious, don’t you think? 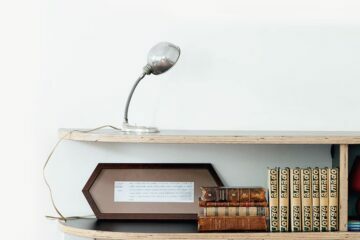 On that note, here is a list of 13 design ideas you can steal borrow from hostels. The private rooms are kept in a clean simple design. The brick walls are a lovely design touch we also enjoyed at Palmers Lodge Swiss Cottage in London. 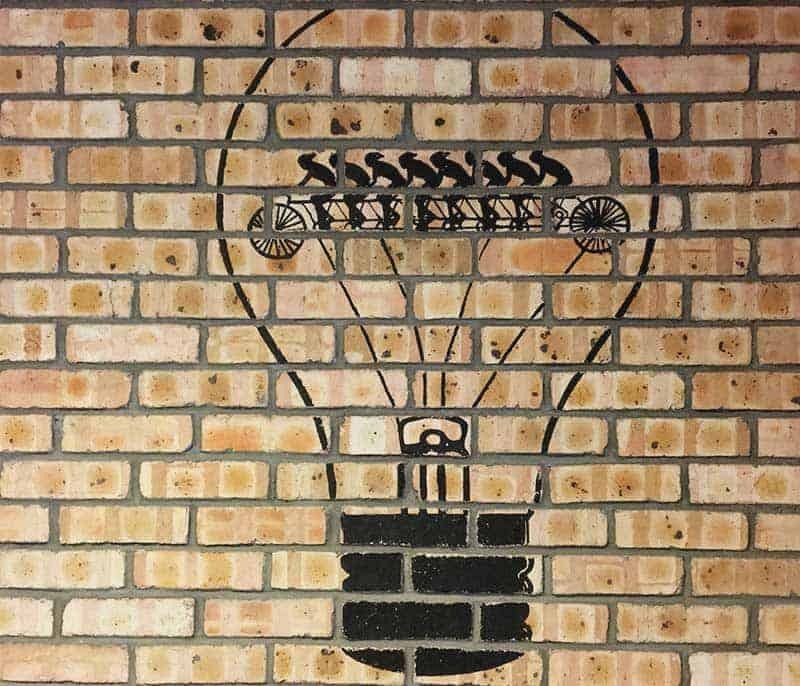 One of the private rooms has a minimalist light bulb painted on the wall, while the other one features big, black glasses. We call this room the „Hostelgeeks Room“. Certainly, it was not designed after us, but yet we like to think so. Maybe it will catch on? The “Hostelgeeks” room, which was not designed after us, yet we like to pretend so! Paper Plane also has female-only rooms available. We summed up the 7 pros and 3 cons of female-only dorms here. 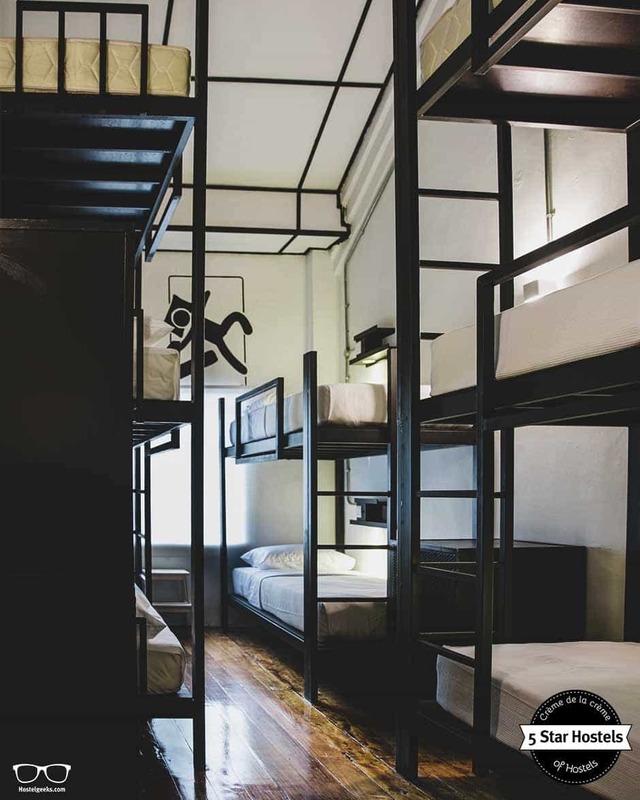 Also, here is a guide on all the different room types at hostels. It helps you to get an idea what room you can pick. 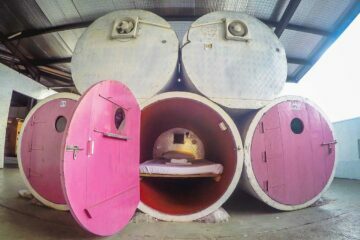 We love it when a hostel has a clear concept and vision. 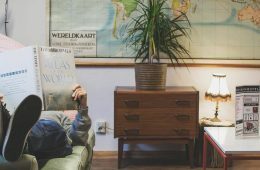 This is what we love about Wallyard Concept Hostel in Berlin, Sunset Destination Hostel in Lisbon, and Ecomama in Amsterdam. And Paper Plane also fits in perfectly. The hostel started with a clear concept of creating a home for travelers. 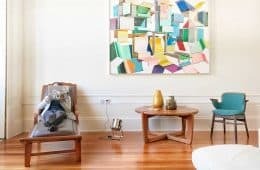 A home in a tranquil, stylish environment, on a budget, and with facilities every traveler appreciates. The place feels really intimate as it is quite small, yet not squeezed. The roof top terrace is the perfect spot to mingle, have a drink and chat will fellow mates. 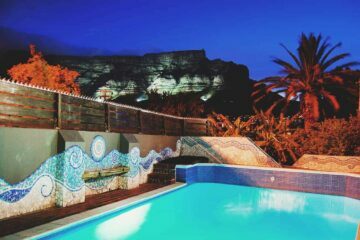 This hostel is highly recommended to everyone looking for a tranquil, chill stay with a social heart. You won’t find the typical super backpacker-on-a-budget here. As always, the 5 Star Hostels are designed to welcome the budget traveler with style. The social experience starts with the team, the receptionist welcoming you with a big smile. 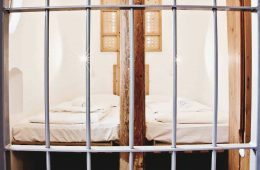 We were welcomed with the phrase „I was waiting for you for 2 hours, I was starting to get worried” – as we’d arranged to arrive earlier. This sentence right from the start gave us a welcome feeling you always appreciate. 5. Every hostel needs a Mika! Mika is the soul of the hostel. You can always count on her to give you top recommendations to actually taste and experience Kuala Lumpur from a local’s perspective. On our first night we asked Mika for some dinner recommendations. Younnes, another fellow traveler from Belgium and us went together to a local restaurant, just around the corner. Mika joined us for dinner, and even recommended local dishes to try out. You see, the staff at a hostel can make a major difference. 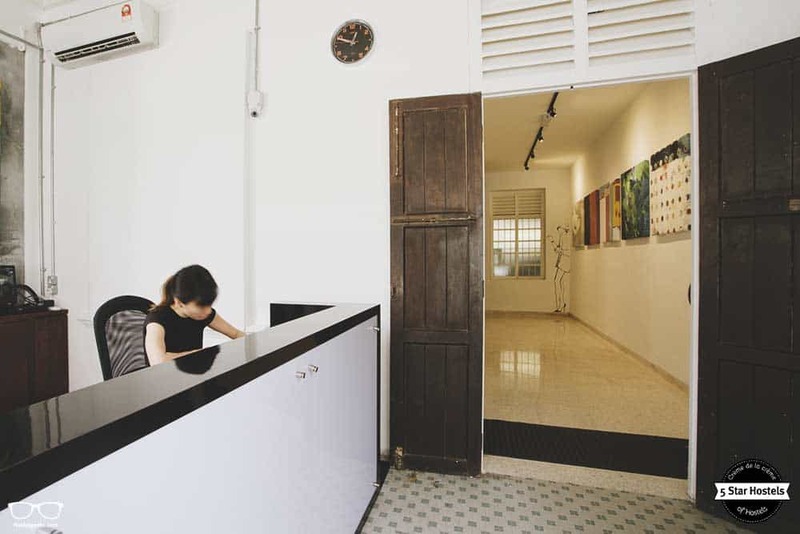 The difference between a well-designed hostel and a 5 Star-rated hostel can be indeed the staff working there. Thankfully, the staff at Paper Plane are certainly outstanding — thanks for making Paper Plane Hostel a home! KL is a big city with so many different kind of things to do. You can visit the Batu Caves. Best way to get here is via public transport. You can also join guided tours to Batu Caves. I also recommend to go downtown and walk under the skyscrapers. The buildings, shopping malls and the architecture here in general are really impressive! Another must-do is China Town. Here you can get everything you wish for. In China Town you can get football jerseys for as little as 5€. We leave it up to you to decide if they are “real”. For more things to do in KL, check out the travel blog of Travel With Pedro. 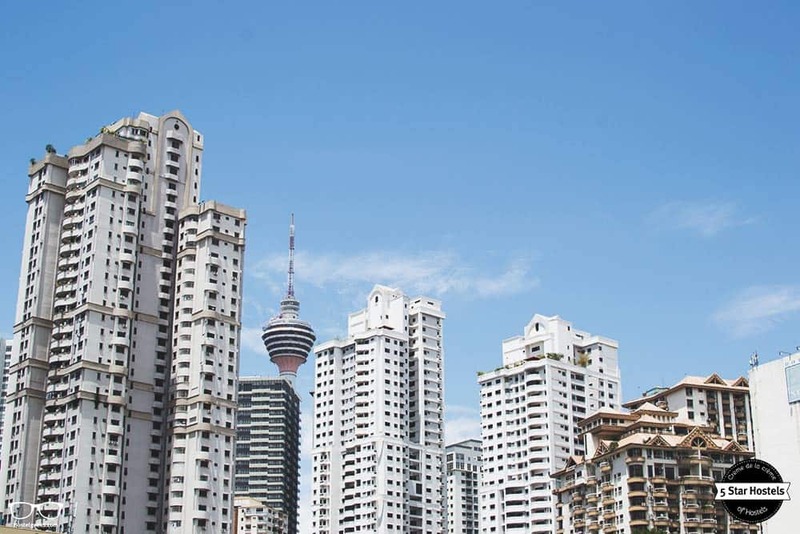 Here you can find even more tours and activities in Kuala Lumpur. 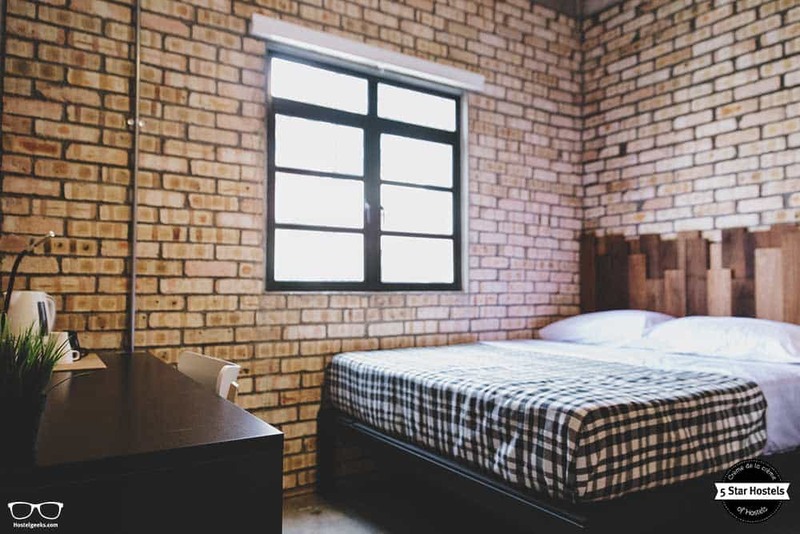 There are many more outstanding hostels across the Asian continent. 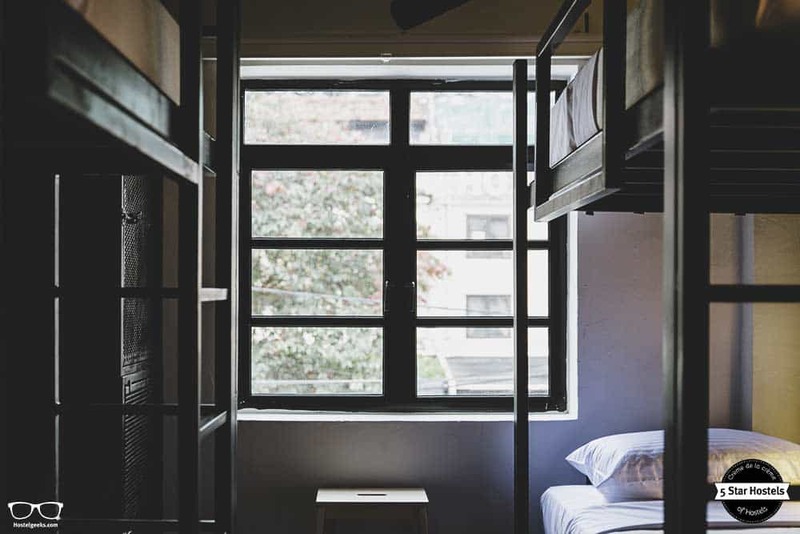 We collected all the best hostels in Asia. And now, go out there and explore the world. You have just gotten hand over the worlds best hostels. Make ’em your home! 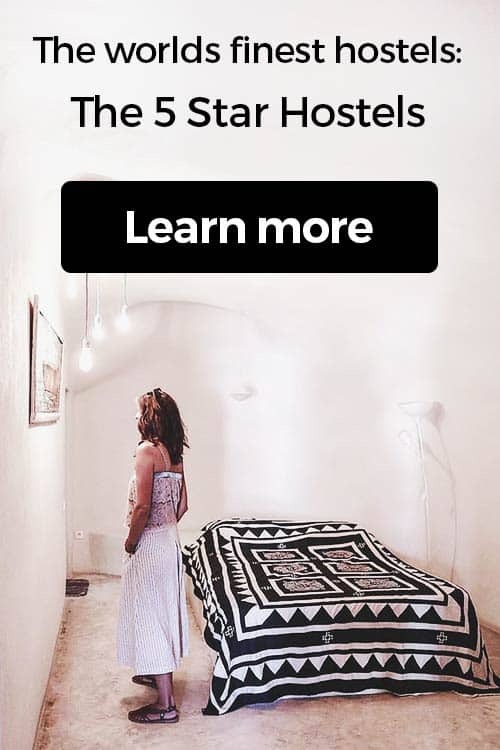 Fancy a promo code for Paper Plane Hostel? Who doesn't?! Now, there is no easy way to say this: Currently we do not have a valid discount for Paper Plane Hostel. 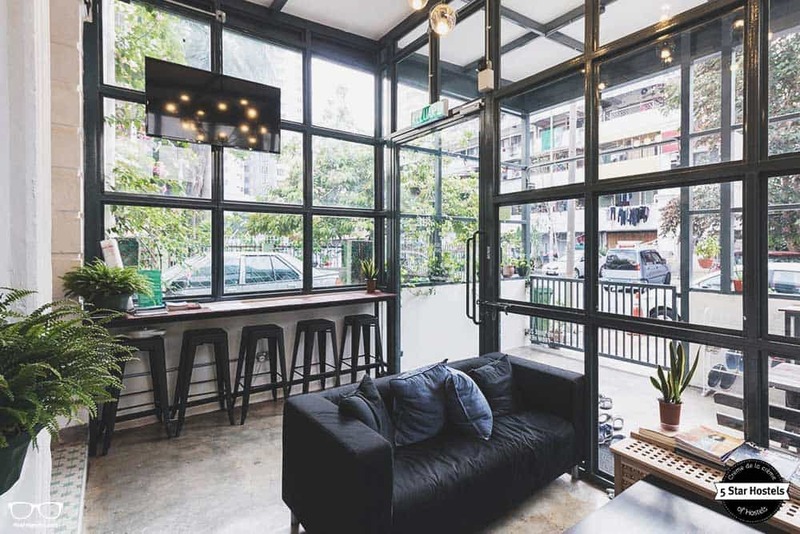 We are working on getting more promotional codes for Paper Plane Hostel in Kuala Lumpur and all the other top hostels we reviewed for you. 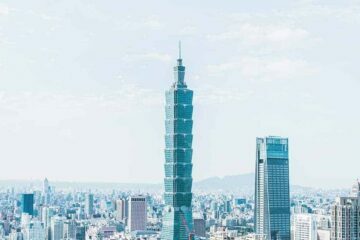 Check out the official website of Paper Plane Hostel. 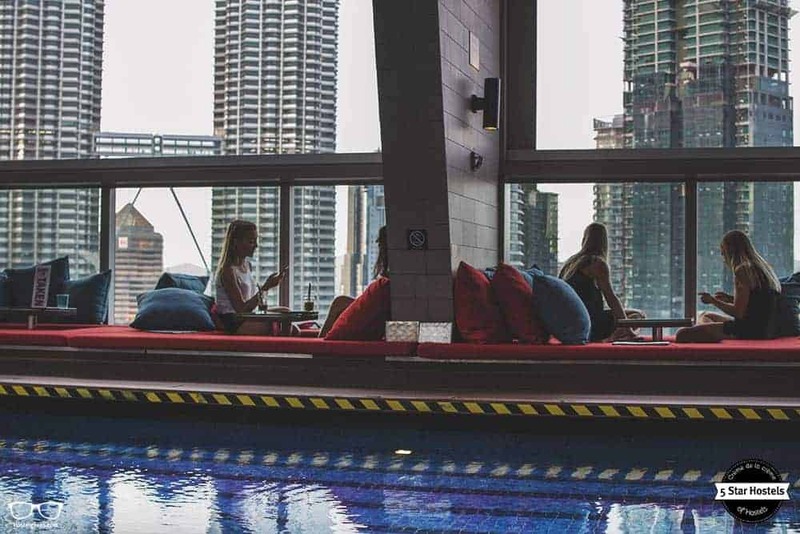 Update April, 2019: How to find flight deals to Kuala Lumpur? Still looking for cheap flights to Kuala Lumpur? We LOVE Kiwi.com. You can search here with a so-called "radius search". It is incredible easy to find sweet flight deals to Kuala Lumpur and area. 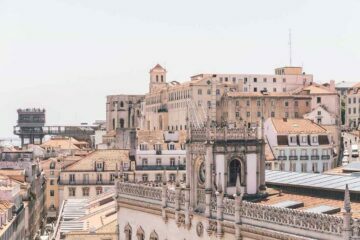 Sunset Destination Hostel in Lisbon – Swimming Pool and Bar on a Roof Top? You got it!